What does a family social worker do? Would you make a good family social worker? Take our career test to find out how you match with this and over 800 other careers. 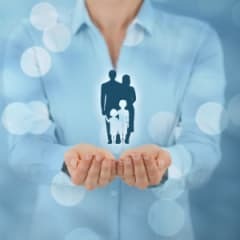 What is a Family Social Worker? What is the workplace of a Family Social Worker like? A family social worker helps families and individuals get through difficult times or get additional support. They help by letting people know that there are special services available to them, and will then go ahead and make plans for people to utilize them. It is a rewarding career, as there is the satisfaction of seeing individuals or families get back on the right track, and restore harmony in their lives. They work for nonprofit organizations, for-profit social service agencies, and for various levels of government. There are a great number of people that grow up in dysfunctional households, with the dysfunction ranging from mild to extreme. There are people who are able to overcome the stumbling blocks put in front of them as a child, and go on to have a positive and healthy adult life. On the other hand, some people will often repeat the negative behaviours that they learned growing up, and will have trouble forming proper and healthy relationships with those close to them. These negative behaviours put a lot of stress on family members, and they sometimes need help in knowing how to deal with certain situations within their family, or with problems they are facing on a personal level. A family social worker can help to restore harmony by providing services to families in crisis. A family social worker has many job titles, including case work aide, clinical social work aide, family service assistant, social work assistant, addictions counsellor assistant, and human service worker. They serve diverse populations with a wide range of problems. Their work varies, depending on the clients they serve. 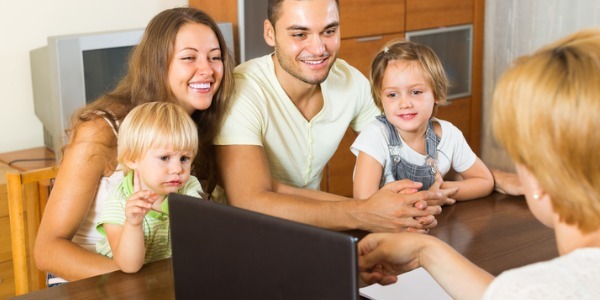 Are you suited to be a family social worker? Family social workers have distinct personalities. They tend to be social individuals, which means they’re kind, generous, cooperative, patient, caring, helpful, empathetic, tactful, and friendly. They excel at socializing, helping others, and teaching. Some of them are also enterprising, meaning they’re adventurous, ambitious, assertive, extroverted, energetic, enthusiastic, confident, and optimistic. Does this sound like you? Take our free career test to find out if becoming a family social worker is right for you.